Vasyl Lomachenko defended his WBA and WBO 135-pound belts with a violent fourth-round stoppage of Britain’s Crolla on Friday night, demonstrating his pound-for-pound excellence with another virtuosic display. (photos by Ed Mulholland, Mikey Williams). 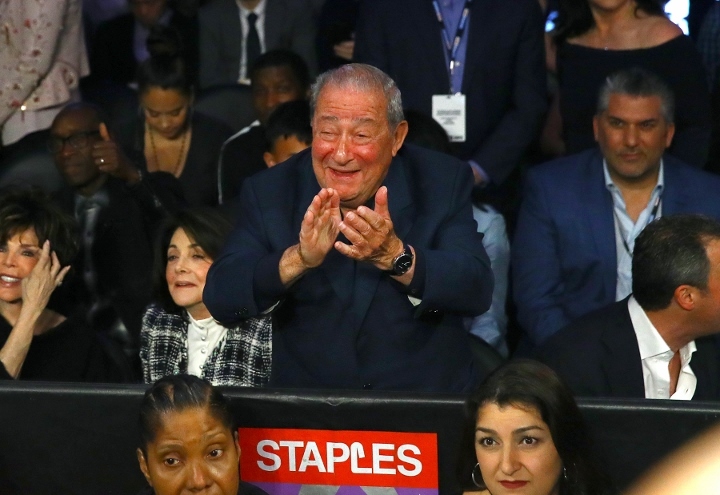 Did Arum just suggest that Lopez could fight for a title in July?